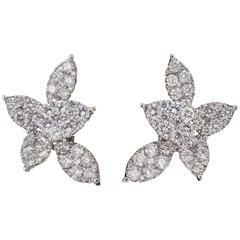 A fun and fashionable pair of diamond earrings. 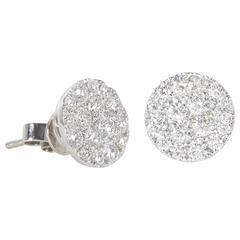 3.65 carats of round brilliant cut diamonds set in silver with gold posts and backings. Just over an inch at its widest point, 1.57 inches long. A BEAUTIFUL GIFT!